Rate ItChhattisgarh Board Of secondary Education (CGBSE) is main education Board of Chhattisgarh State. Chhattisgarh..
Rate ItLatest Update: – Tbse Higher Secondary Routine 2016 is declared. Tripura Board Higher Secondary..
Rate ItLatest Update: – Tbse Madhyamik Pariksha Routine 2016 is declared. 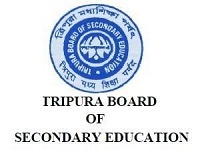 Tripura Board Secondary exams..
Rate ItDepartment of Pre – University Education, Karnataka is the main education body in. Karnataka..
Rate ItUpmsp is the main education bodies in the state all the board exams in..